Source From: fedoraplanet.org | Original article title: Matthias Clasen: Recipes for you and me | This full article can be read at: Matthias Clasen: Recipes for you and me. 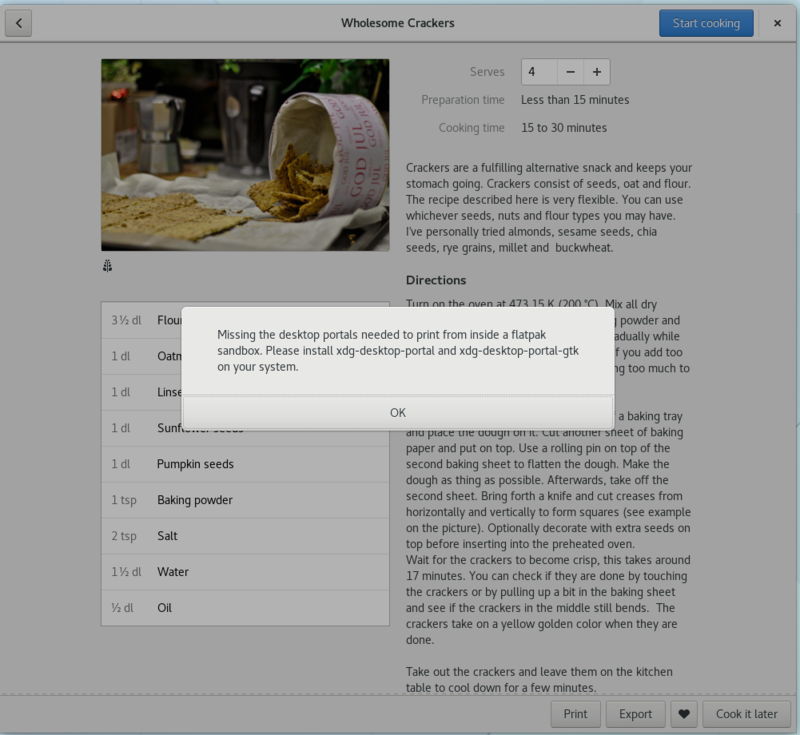 Since I’ve last written about recipes, we’ve started to figure out what we can achieve in time for GNOME 3.24, with an eye towards delivering a useful application. The result is this plan, which should be doable. The 0.8.0 release that I’ve just created already contains the first steps of this plan. 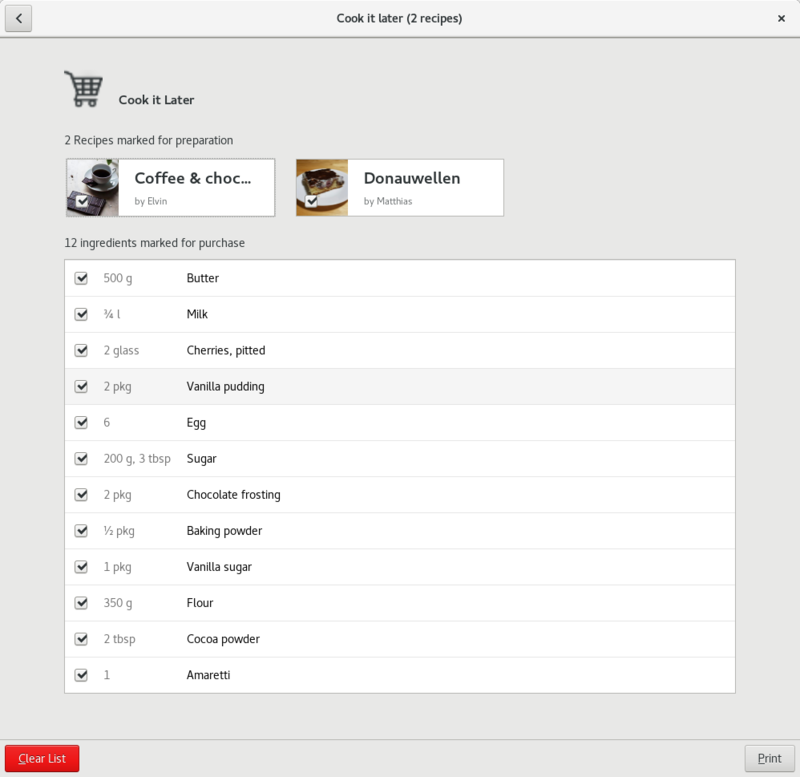 One thing we decided is that we don’t have the time and resources to make the ingredients view useful by March, so the Ingredients tab is gone for now. Beyond this, I’ve spent some time on polishing and fixing bugs. One thing that I’ve discovered to my embarrassment earlier this week is that exporting recipes from the flatpak did not actually work. I had only ever tested this with an un-sandboxed local build. Sorry to everyone who tried to export their recipe and was left wondering why it didn’t work! 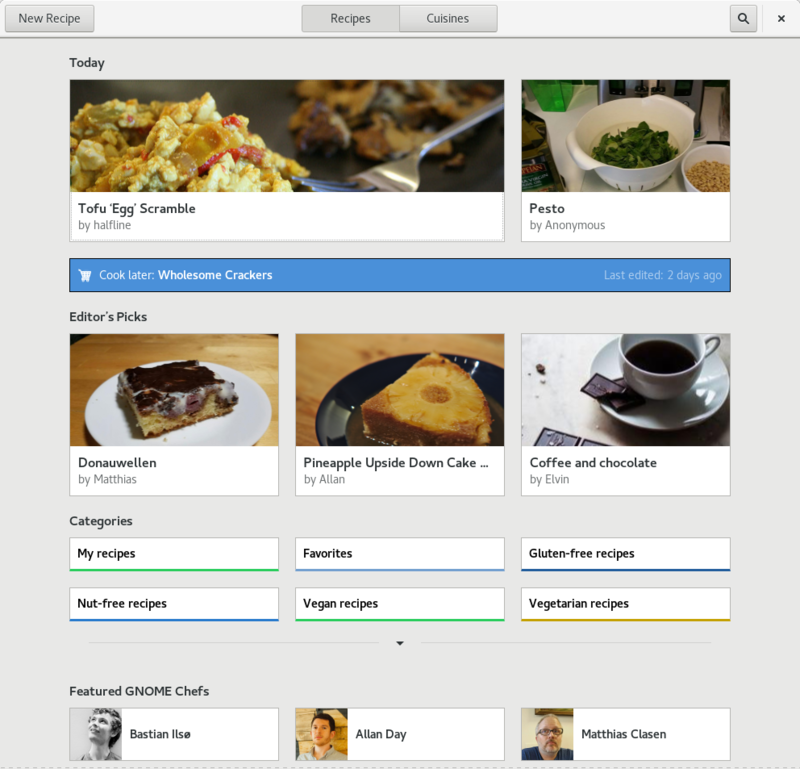 I think recipes is proving its value as a test bed and early adopter for flatpak and portals. At this point, it is using the file chooser portal, the account information portal, the print portal, the notification portal, the session inhibit portal, and it would also use the sharing portal, if we had that already. I shouldn’t close this post without mentioning that you will have a chance to hear a bit from Elvin about the genesis of this application in the Fosdem design devroom. See you there! 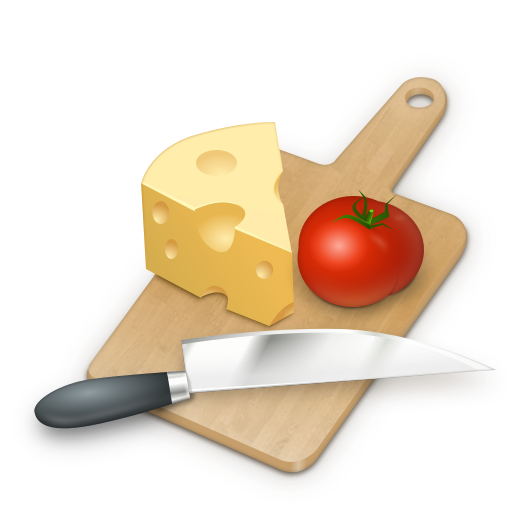 Original article title: Matthias Clasen: Recipes for you and me. 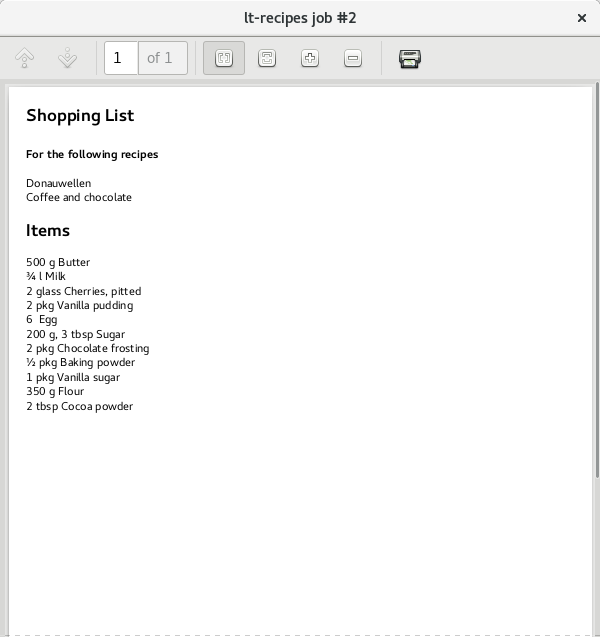 This full article can be read at: Matthias Clasen: Recipes for you and me.